It’s that time of year for taking stock and expressing gratitude for all that we each have. Our Sandy Point Resorts family is no different and we celebrate the many things we have to be grateful for in Belize and that we love to share with you, our guests. By no means can this ever be a complete list and that’s part of its beauty. There are always more places to visit, people to meet and adventures to be had in Belize. You may notice that there are quite a few gastronomic items here, and that is no accident. 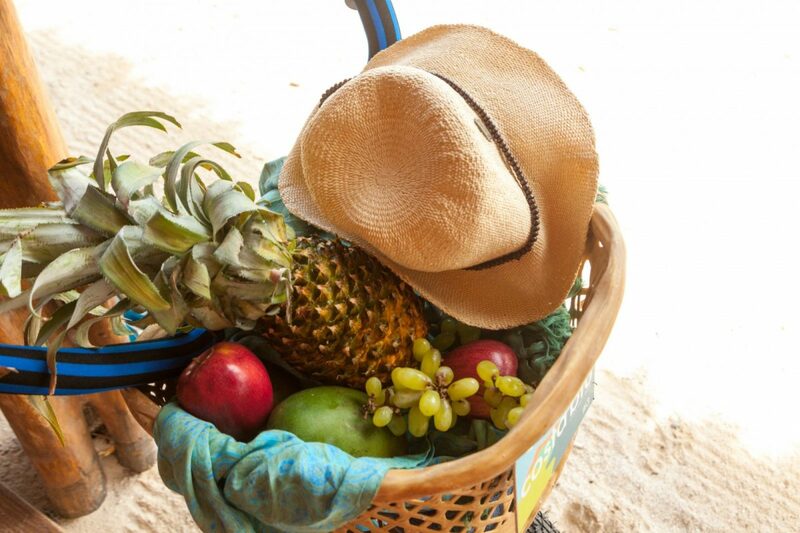 If you’ve visited, you know that food is big part of the melting pot of culture that is Belize. With no shortage of fresh, local ingredients, we could have made this list solely of food items, but we like a well-rounded list and so branched out a little. 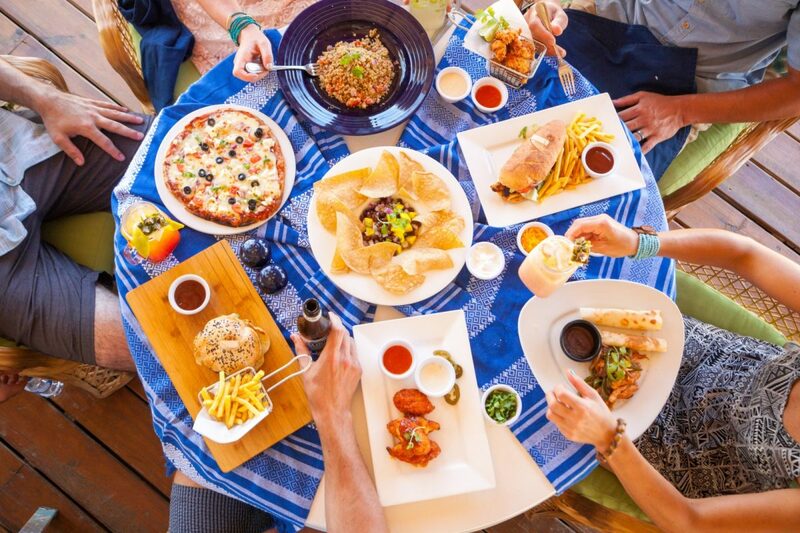 Warning, you might not want to read any further on an empty stomach, it may leave you with some cravings that can only be satisfied by Belizean cuisine! 1. Our guests! We would not be here to scribe this most thankful of lists without you, our loyal guests. Many, many thanks to our wonderful guests, who make it a joy to provide the best in service. 2. Our staff! We couldn’t do it without the hard work and dedication of our UnBelizeable team. With smiling faces and helping hands, they make sure that every little detail is taken care of, every day. 3. The Belize Barrier Reef. The largest in this hemisphere and a must-do while in Belize. Snorkel, scuba dive, sail or fish. Whatever the choice, don’t miss out on exploring the reef. 4. Coffee. Starting the day with a cup of coffee produced right here in Belize sets you up for success in whatever you have planned. A pound of local beans makes a great souvenir, too! 5. Chocolate. Speaking of local eats that you can bring home with you, it’s hard to go wrong with chocolate made from cacao trees right in Belize. 6. Lobster and other locally produced seafood. Lobster season is open annually from June to February when locals and visitors alike enjoy a range of preparations. Don’t miss out on snapper, conch and shrimp, as well. 7. Coconuts! The coconut palm is a humble plant and one of the most versatile. 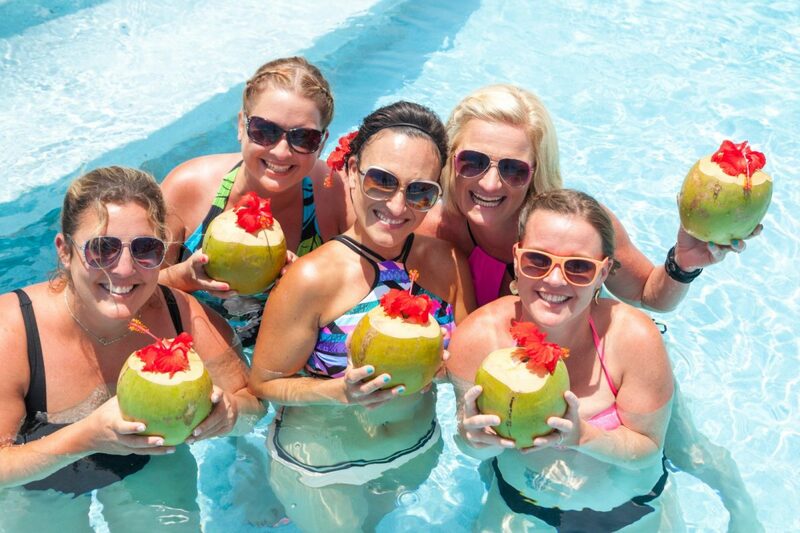 Whether using the tree in your photo op, drinking the refreshing water, getting a coconut oil massage or enjoying the coconut milk in a tropical dish, the coconut is everywhere, and we wouldn’t have it any other way. 8. The people of Belize, and the many cultures that weave together to make the unique and diverse country that we know and love. 9. Ambergris Caye, the largest of Belize’s many islands, and our home. With a thriving tourism scene, what was once a sleepy fishing village has grown into the most popular destination in Belize. 10. We are truly thankful for the community here and for the island-wide efforts to make our area as clean and picture-perfect as possible. A big thanks to our staff that participate in our regular road clean-ups. 11. Sunrises over the reef. Never are two the same, and always are they worth waking up early to see. Occasionally dolphins are active offshore at this time as well! 12. The mainland jungles and the many hidden limestone caves found within. Visit the underworld of the Maya, Xibalba, when you explore these natural treasures. 13. The Great Blue Hole is on everyone’s bucket list and we are lucky enough to have it right in our own backyard. Scuba divers marvel at the ancient sunken cave and the stalactites at 130’ down! 14. Maya archaeological sites are prevalent throughout the mainland of Belize and are preserved today through the National Institute of Culture & History. Steep yourself in history as you climb to the top of the temples and tour the plazas. 15. The Belize Zoo and conservation efforts throughout Belize. With many protected areas and in-tact rain forest, the diversity of fauna and flora here is astounding. Get up close and personal with some of Belize’s most famous locals like Jaguars, Tapirs, Spider Monkeys and Harpy Eagles with a visit to the zoo. 16. Fry jacks! This savory breakfast delight is essentially tortilla dough, fried until golden and served with refried beans and bacon. A delicious and hearty way to fuel you for a day of adventuring. 17. Rice & Beans AND Beans & Rice. Yes, there is a difference! Rice & Beans is prepared by cooking the rice and beans together in coconut milk while Beans & Rice consists of stewed beans in a broth served over white rice. Try them both and choose your favorite. 18. Our guests! As the writers of this list, we make the rules, and we say that we can begin and end our list in the same way. The overwhelming sentiment when polling out staff about what tops their thankful lists, was you!